Anyone who is invited to Anne Furbank is in for a treat. 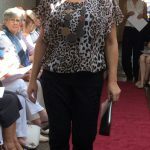 This fabulous boutique situated in Buckden, St Neots is a delight, room after room of fabulous new season merchandise, I was thrilled to be invited to model for Joseph Ribkoff the last Saturday in August with Anne & Jeanne to launch their new Autumn range. 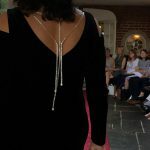 I am only showing you a few items here as you must make time to visit Anne Furbank. 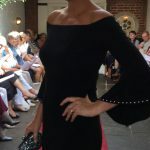 Joseph Ribkoff as always has created a gorgeous new season range, its stylish, sophisticated & fits really well, they always make dresses that give us curves where we need them & hide bits we don’t like, this season there are lots of beautiful shoulder details, showing just enough skin plus adding embellishment to create interest on cuffs, waists & necklines. 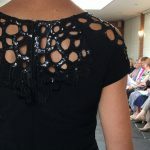 Trends here include dark florals, shine, dramatic sleeve detail & velvet. 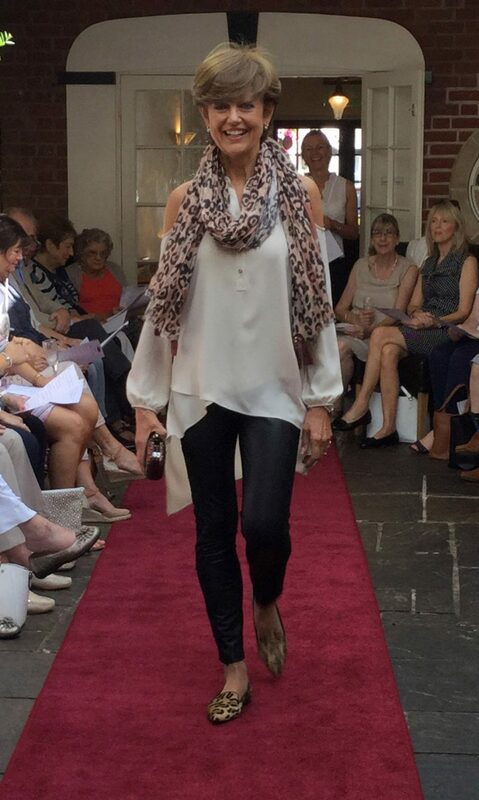 Anne Furbank Fashion Week is 13th – 16th September, there are 2 fashion shows per day (which you must book a seat) or you can visit anytime to see models in the boutique showcasing new season trends by various brands from casual daywear to show stopping occasion wear. The team at Anne Furbank are super & the service is 2nd to none. 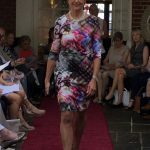 I will be working at Fashion Week, so put the date in your diary, enjoy coffee, lunch or afternoon tea at The George Hotel in-between a fabulous shopping experience at Anne Furbank.